I'm aware there's been a lot of controversy about Jeffree Star all over the makeup industry recently, but I really wanted to do this review as these are honestly some of my favourite liquid lipsticks ever. I have to say, I don't particularly support Jeffree Star or any of his actions, but there's no denying he has some of the most popular liquid lipsticks out there, so I thought I'd give my two cents! What's this? Liquid lipsticks have majorly taken over the makeup industry, and as far as I know, Jeffree Star Cosmetics were one of the first brands to bring them out. I didn't give in to the hype initially, then I saw Jaclyn Hill wearing Androgyny and fell in love. 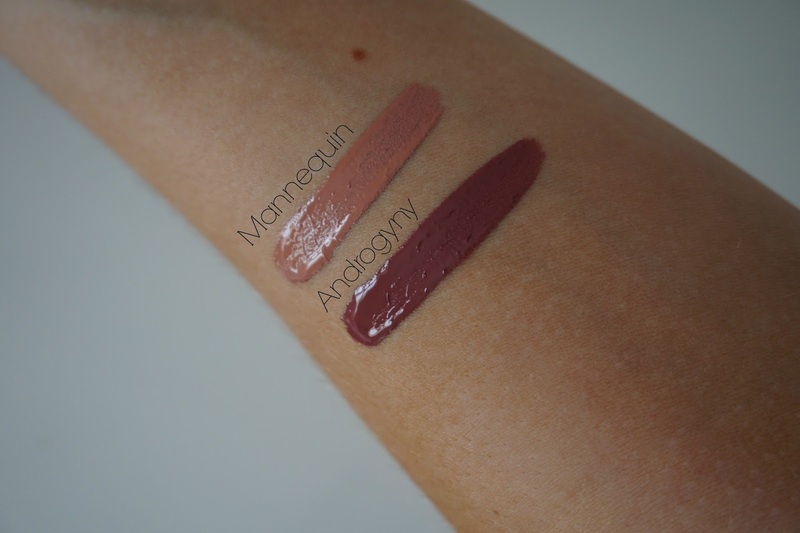 Since then, I have also bought Mannequin as there's no denying it's one of the most beautiful nudes out there. Where can I get it? You can get these from Beautylish (where I've bought mine!) or the Jeffree Star website. They are $18 (around £14!). Swatches? See below. I've also worn these quite frequently on my Instagram so scroll through for lip swatches! The Pros... Alongside Dose of Colors, these are my favourite liquid lipsticks. They sit on the lips so comfortably, don't dry out at all and give the most beautiful pigmentation. The colours are so so unique - especially Androgyny! Don't think I've ever seen a colour quite like it. They last really well - I never find I have a horrible line where it has worn off. The Cons... Putting all the controversy about the owner aside... my only con for these liquid lipsticks is that the scents can be a bit odd. Mannequin really doesn't smell nice at all - the scent isn't noticeable after application but just a bit weird! What do you think? Have you tried these liquid lipsticks? Let me know if you have, and your thoughts in the comments!